Nicole was great. Answered all of my questions and was very attentive. Everyone there was actually very nice and helpful. I asked for a certain vehicle and they stayed with me the whole time letting me know as soon as one would come in. After months of going back and forth finally found what I was looking for and one that met the budget. Easily to work with and very nice people. 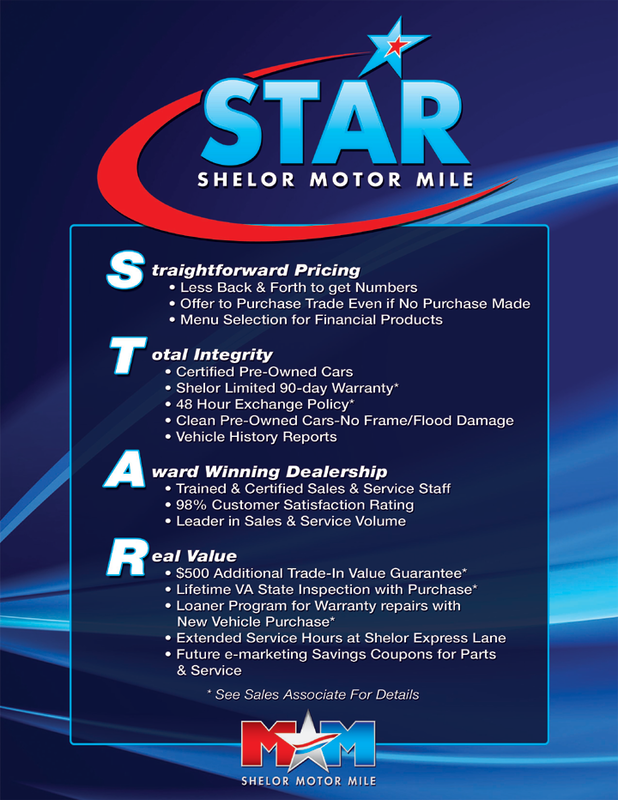 Excellent Customer Service , I was always updated on the service of my vehicle .... Everyone is so friendly and helpful, I will always come to Shelor Motor Mile. My recent experience of getting my front left tire patched was great! I was able to get a ride to work and they called to let me know that my car was ready for pick-up within a couple of hours. I appreciate the customer service and friendly attitude of my service advisor, Dustin Moore.